This dog loves nothing more than being by your side! Italian Greyhounds were originally bred to be companion dogs to royalty, and are in fact a miniaturized version of the full-size Greyhound. Today, these dogs come in a wide variety of colors, and have very sweet, playful and devoted personalities, though they can be shy at times. They are very fast, like their Greyhound ancestors, and have adorable floppy ears. 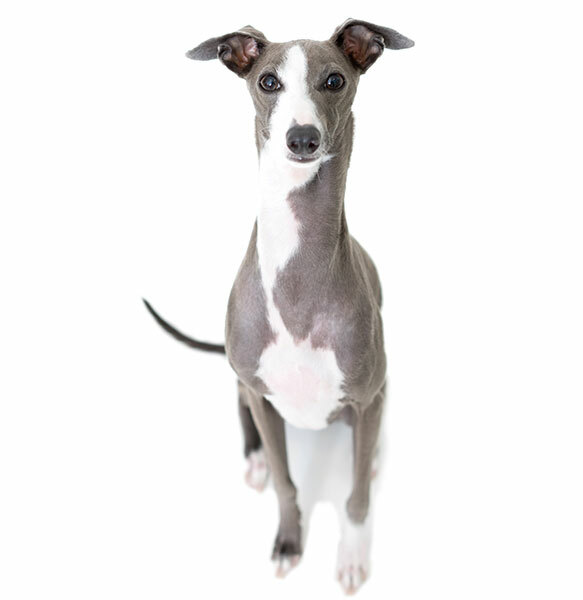 Italian Greyhounds are small in size and weigh approximately 10 lbs. when fully grown. Italian Greyhounds were the popular subject of Renaissance paintings by artists such as Giotto, Bosch, Carpaccio, David, and Van der Weyden. This Medieval breed is thought to have originated in the Mediterranean, then rose to popularity in Southern Europe, especially Italy, hence the breed's name.